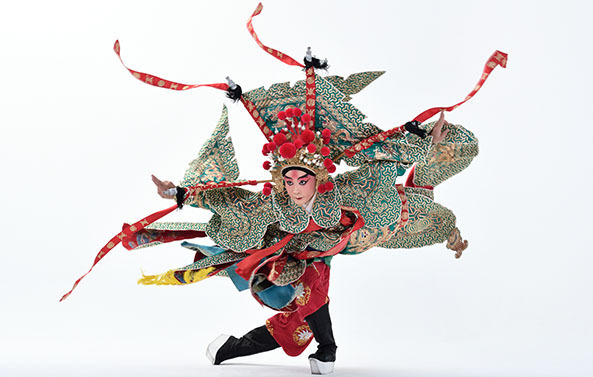 Tang Mei Yun Taiwanese Opera Company has been in its 21st year since its establishment. Adhering to the aim of "inheriting and innovating", we have always tried our best to promote traditional opera to the artistic level of elaboration. 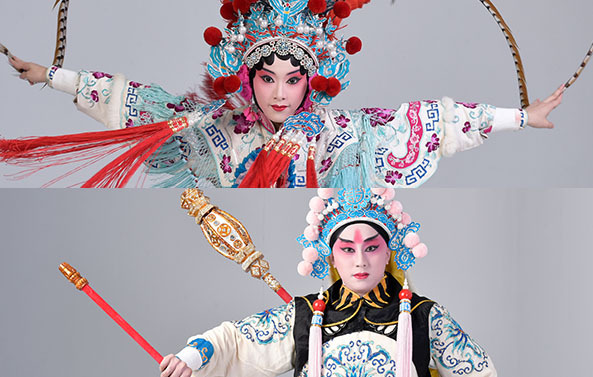 We have a strong, dazzling cast, arrangers, figure guiders and creative local playwrights who are all working hard to build the leading brand of exquisite Taiwanese Opera. We are all committed to making this artistic treasure take root in Taiwan and blossom in the whole world. WANG MANG usurped the Han dynasty and established a new one. WU HAN, husband of WANG MANG’s daughter WANG LAN YING, captured the LIU XIU (Emperor Guangwu of Han dynasty). When his mother learned of it, she ordered her son to release LIU XIU and kill her daughter-in-law in revenge - Because WU HAN’s father was killed by WANG MANG. WU HAN took a sword into the chapel and saw his wife to pray for her mother-in-law. The couple were so close that he could never kill her. When his wife heard about the past, she didn't want to embarrass her husband, so she grabbed her husband's sword and killed herself. WU HAN’s mother also committed suicide after that. Later, WU HAN followed LIU XIU and helped him revive the glory of the Han dynasty. TU Chien-wei, born in 1985, graduated from the department of Chinese Drama at Chinese Culture University. He was the adjunct professional expert of the National Taiwan College of Performing Arts. Now he is a member of the Tang Mei Yun Taiwanese Opera Company. He has been working hard on stage and TV series of Taiwanese Opera for a long time, which not only shows his talent and maturity, but also gives off more and more brilliance. Besides performing roles, he also assisted in rehearsing for a long time to guide the figure of martial arts. 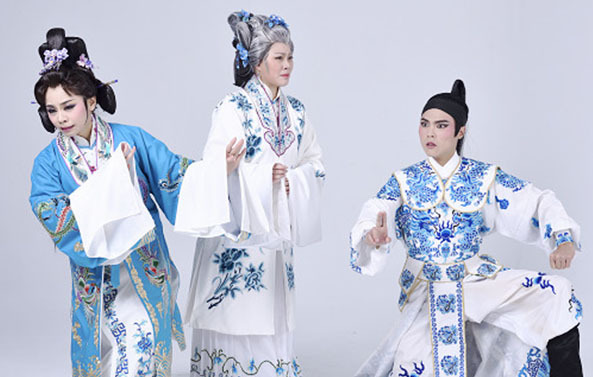 In 2016, Shining Youth League of Tang Mei Yun Taiwanese Opera Company was established. Because of his outstanding performance and steady character, he was elected as the director of "The Guardian Mountains", and successfully created a bright future by proving that he is good at both performing and guiding. TSENG Mei-ping, born in 1981. One of the first graduates from Department of Taiwanese Opera at National Fu Hsing Dramatic Arts Academy. Major in Dan(female role). Taught by LIAO Chiung-chih, WANG Jin-ying, TANG Mei-yun. Now is a member of the Tang Mei Yun Taiwanese Opera Company. Before the establishment of Shining Youth League, she had cooperated with the troupe for a long time and played the role of the female character type in Taiwanese opera around Teacher HSU Hsiu-nien. After a long time of osmosis, she gradually developed her unique temperament. Her appearance was brilliant, in I See You, Mr. Fox, she became the combination of grace and elegance. Later, she played the main role in the big play of the year "The Descendent", "The Fortune Shoes" and fully interpreted the girl in love with the appearance of pure shyness. She was also the heroine of "The Guardian Mountains" and accurately portrayed the naivety of the girl and the mature after marriage. There is no doubt that she is one of the important members of the troupe. 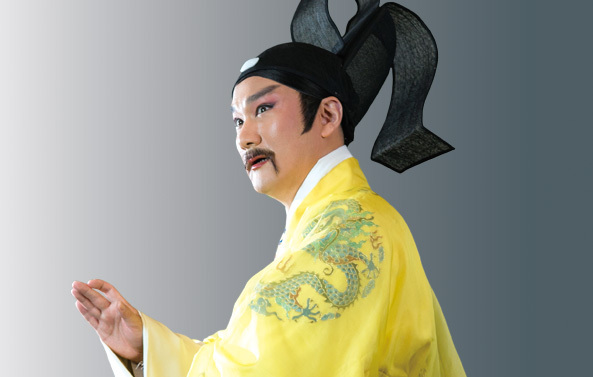 WU Ming-chen, born in 1996, graduated from the Department of Taiwanese Folk Opera at National Taiwan College of Performing Arts, now is a member of the Tang Mei Yun Taiwanese Opera Company. She has specialized in the role of the female character type in Taiwanese opera since childhood and built a solid foundation. The learning process is more daring to break through, challenging the six-foot sleeve and the stunt of spitting fire. Furthermore, she challenging interpretation of different kinds of the female character and the exquisite interpretation make her life of traditional opera very wide and smooth. Her cheerful and forthright personality makes she not only favored by his teachers, but also loved by his peers..
Today the number of：67人 / The total number of visitors：131,029人 / Last Updated：2019/04/19.